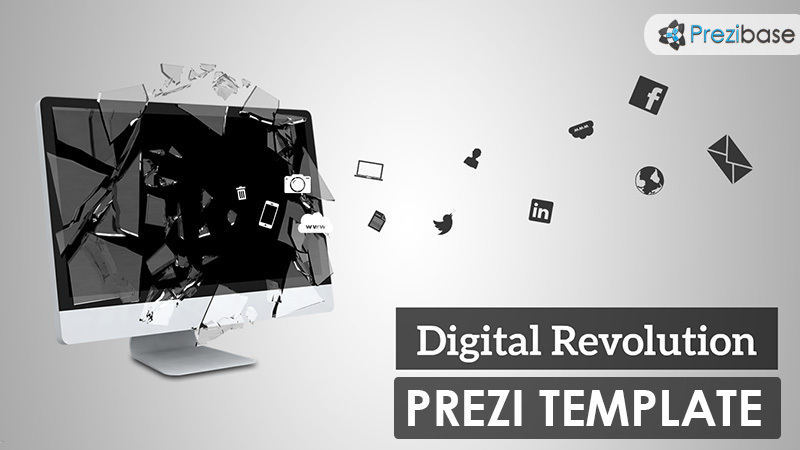 Prezi Presentation Template with the concept of digital revolution and the information age. A computer screen with broken glass and icons flying out of it. Show the negative or positive sides of the information age! Rearrange the elements, zoom anywhere and add your own content. Add your own background image. Talk about business breaks, IT online revolution or services. This entry was posted in Best Prezi presentation templates and tagged 3d, animated, broken glass, computer, computer screen, creative technology, data, digi, digital, ground breaking news, hosting, imac, informatics, information, iphone, it, laptop, lcd, mobile, monitor, pc, prezi template, prezi templates, responsive app, screen, smartphone.